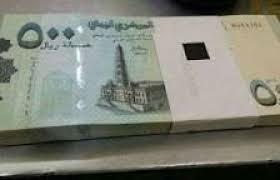 SANAA, Aug. 6 (YPA) – The exiled Hadi’s government loyal to Saudi-led coalition in Aden province on Monday held Marib province’s authorities responsible for the collapse of the Yemeni riyal against foreign currencies. Hadi’s government acknowledged, in an official statement issued the planning ministry in Aden, that its policies and not-depositing of Marib revenues in the central bank in Aden is behind the Yemeni currency collapse. Foreign exchange rates have risen sharply against the Yemeni riyal recently, causing a rise in prices of food and oil derivatives, which will exacerbate the humanitarian crisis in Yemen. Earlier this year, Marib’s governor and Islah Party member, Sultan al-Arada, refused to deposit more than 700 million riyals a day of the province’s oil and gas revenues in the central bank after he had disrupted and closed the bank’s branch in the province. The southern port city of Aden is witnessing a popular uprising demanding the departure of the corrupt in the government after the deterioration of the national currency and the sharp rise in prices of consumer goods and oil derivatives.